Below you’ll find the official poster for Ash vs Evil Dead starring Bruce Campbell, Lucy Lawless, Pablo Simon Bolivar, Kelly Maxwell and Amanda Fisher. I don’t know about you, but I cannot wait to see the continuing adventures of Bruce Campbell fighting the forces of darkness. Will you be watching along with me on Halloween night? 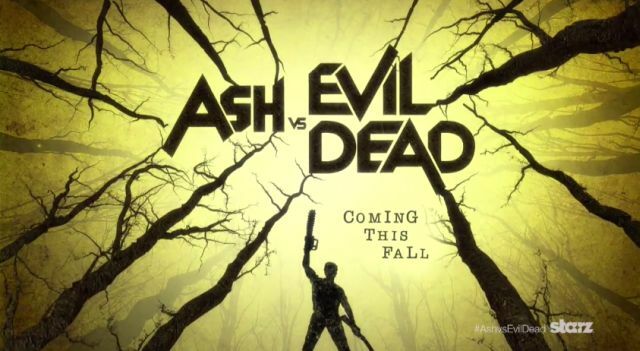 This entry was posted in Breaking News, TV and tagged Amanda Fisher, Ash Vs Evil Dead, Ash vs The Evil Dead, Bruce campbell, Kelly Maxwell, Lucy Lawless, Pablo Simon Bolivar, starz. Bookmark the permalink.